With an experienced line up who have performed hundreds of shows throughout Perth and Western Australia, their members have played in well established cover-bands such as “Our Generation”, “Countdown”, “Hit Factory” and “AB/CD” to name a few. Rocket prides themselves on their high professionalism and showmanship, while delivering a fresh sound that appeals to a wide audience. 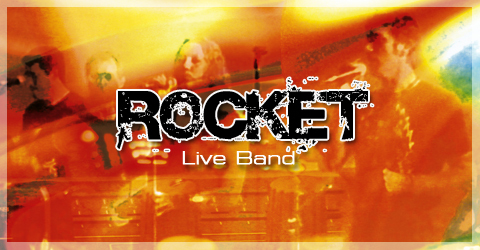 Combine this with a dynamic & entertaining stage presence, and a song list to excite any crowd at any venue – ROCKET IS THE COMPLETE PACKAGE.